Sophie Turner worries she'll be killed off in 'Game of Thrones'. 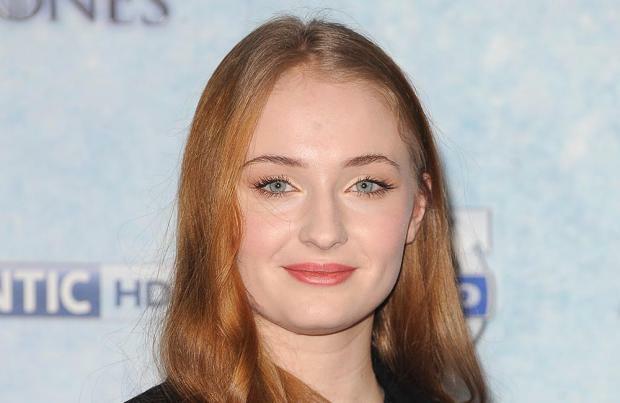 The 18-year-old actress, who plays Sansa Stark in the hit fantasy drama, has admitted it's always a gamble to read the show's scripts because beloved characters are slaughtered at any given time. Sansa's family has been rocked by numerous tragedies over the last three seasons, with her father Ned Stark (Sean Bean), mother Catelyn (Michelle Fairley) and brother Robb (Richard Madden) all being killed in tragic scenes. Speaking at the 'Game of Thrones' Season 4 UK premiere at London's The Guildhall last night (25.03.14), Sophie exclusively told BANG Showbiz: "I worry about every character, but I do worry about my own. It's the ambiguity of it all that makes the show so exciting. It's definitely a worry when you get the script - you're like, 'Please don't say I die!' Fingers crossed I don't." Meanwhile, Liam Cunningham, who plays Davos Seaworth, also weighed in on the drama's killer instinct - revealing it's difficult to plan ahead as an actor working on 'Game of Thrones'. He explained: "It could be awful. You can't plan ahead, but that's what's great about the show - you invest in these characters and they're suddenly whipped away from you. All you have to do is go on YouTube and see how much the audience is invested in these characters, and then they're whipped away. That's life, isn't it?" The hit fantasy drama is back for its fourth season on Sky Atlantic next month and fans can look forward to seeing new episodes even sooner as the channel has confirmed plans to simulcast the show at the same time as it airs in America. 'Game of Thrones' Season 4 begins on Monday, April 7 at 2am and will air again at 9pm.